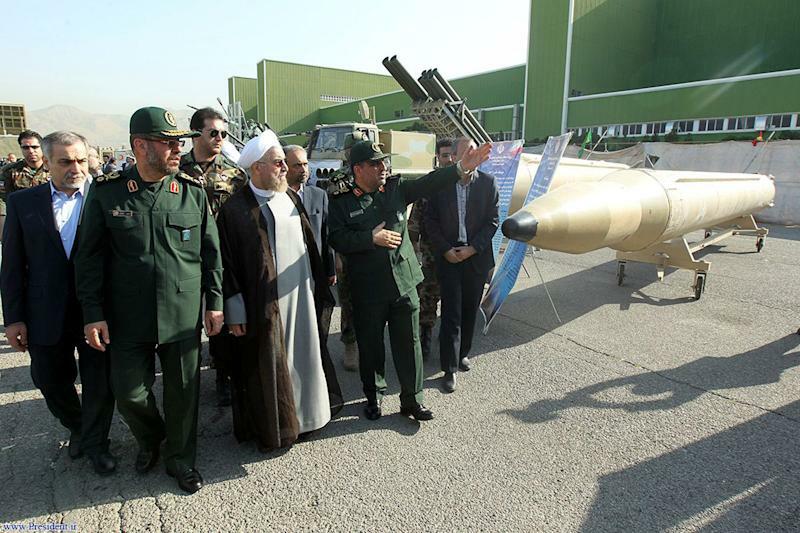 Tehran (AFP) - Iran on Sunday unveiled two new missiles and two new drones it said have been added to its arsenal, in a ceremony attended by President Hassan Rouhani. "Iran has no intention to interfere in, dominate or attack other countries or plunder their resources," he said in a speech broadcast on state television, adding that the country's military doctrine was defensive. "But at the same time we will stand up to any aggression," he added. Tehran is currently engaged in negotiations with the five permanent members of the UN Security Council plus Germany -- known as P5+1 -- on securing an agreement with world powers on its controversial nuclear programme. Israel and Western powers suspect Iran's civilian nuclear project to be a cover to develop an atomic weapon, an allegation Tehran denies, insisting its uranium enrichment drive is entirely peaceful.